T-Mobile's releasing the Touch Pro2, a Windows Mobile 6.1 affair from HTC, on August 12. 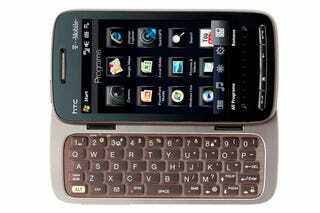 It's got the same old stuff: 802.11 b/g, 3.6-inch screen, slide-out keyboard, 3.2-megapixel camera, blah blah TouchFlo. Even HTC's moving away from Windows Mobile now.